Arsenal continue their quest for a new manager to succeed Arsene Wenger at the Emirates Stadium this summer and it’s suggested they’ve cast their attention towards an impressing boss in Europe. Juventus coach Massimiliano Allegri has long been linked with a move to the Premier League but reports suggest it’s not the Italian that Arsenal have established as a front-runner for their managerial vacancy. Instead, Sky Sports claim Arsenal have established Hoffenheim boss Julian Nagelsmann as one of their preferred candidates to take the helm this summer after his superb performances in the Bundesliga during the past two campaigns. Nagelsmann, just 30, has guided Hoffenheim to a third-place finish this season and Champions League football next term, after seeing his side knocked out of Europe’s elite competition at the qualifying stages by finalists Liverpool this season. 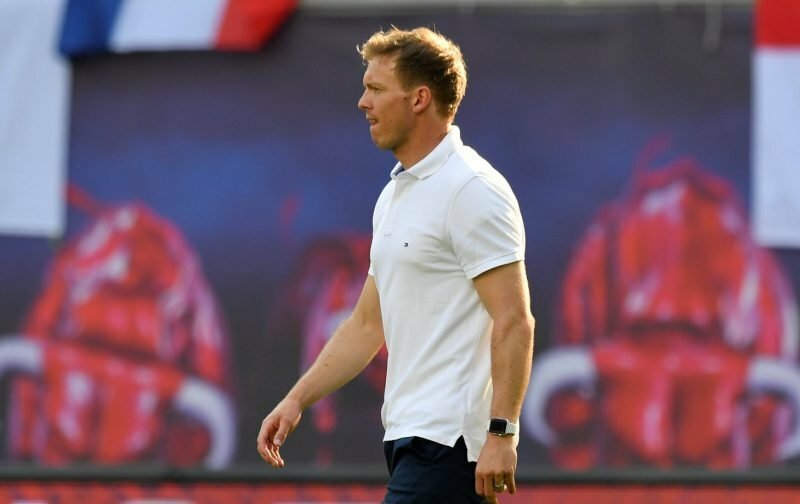 He’s now widely regarded to be one of the best managerial prospects in European football and Arsenal’s desire to appoint a young coach has led them to eye Nagelsmann, who has the added benefit of already having managerial experience – unlike Manchester City’s assistant Mikel Arteta.